Ever since the Oculus Rift and the 3DS came along, I’ve been wondering what Nintendo would do if they tried their hand at the Virtual Reality game (again). They pioneered motion control, made wireless video streaming lagless, and pushed Augmented Reality further than anyone else. However, their drive for inclusive gameplay is at odds with the very insular world of modern VR systems. But what if there was a way to make VR more social? Could the Virtual Boy rise again, and redefine VR in an iconically Nintendo way? 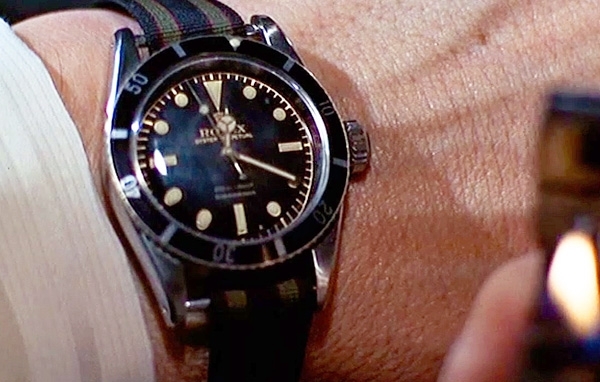 One of the most famous Bond watches is the Rolex Submariner from Goldfinger. It's renowned for a couple of reasons: 1) Rolex is the brand Broccoli had Bond wear in the novels. 2) It's on a ridiculously narrow perlon strap. A derivative of this strap, in NATO form, is now one of the most ubiquitous straps to grace watches around the world. I thought it would be fitting to have a crack at this with my Pebble Time Round. A smart gadget watch? Q would be so proud! My study was a shambles, boxes everywhere, and a pile of disused red Expedit inserts working as free-standing storage after the shelves were filled with books instead. I needed a shelf unit to display my precious things, i needed to do something with these damned inserts, and i needed to exercise my design muscles. Early press shots of the Pebble Time Round (hereafter referred to as PTR) received a drubbing from the internet-folk for its large bezels, despite having a more favourable face/bezel ratio than the majority of dumbwatches. Society, having shunned watches in favour of checking the time on a bezel-less slab of glass they pull out of their pocket, doesn't actually seem to want a watch-like smartwatch.